#CinemaCon – Paramount Pictures Presentations Recap and the things I learned! 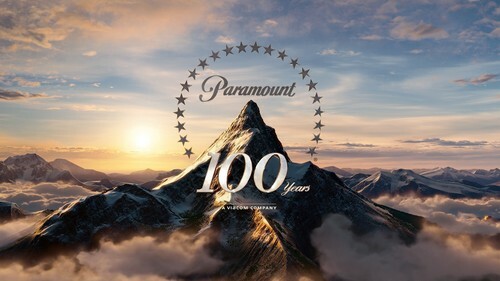 Paramount Pictures hosted CinemaCon’s annual “State of the Union” presentation where folks from the National Association of Theater Owners and Film Studios gather together to slap each other on the back for doing gang buster business. Apparently the film industry isn’t dead as it grossed over $30 billion worldwide last year and broke previous records. The presentation kicked off with a sizzle reel of all the top money making pictures from 2014. After a series of speeches and awards it was time for Paramount to come to play. Things I Learned #1 – According to Arnold S. The 4th Terminator doesn’t Exist. They kicked things off the only way they could with The Terminator Himself – Arnold Schwarzenegger who delighted the audience with a surprise appearance. He talked a bit about how he wanted to do a big entrance by flying in on a Helicopter, or maybe riding the Terminator motorcycle onto the stage or better still use a Chariot, surrounded by Showgirls. Of course he was joking about all of his suggestions, but I wouldn’t it put it past him if he actually did ask. We saw 12 minutes worth of Terminator: Genesis footage and while I was irritated that Paramount released the 2nd trailer earlier in the week, I think within the context of the other footage we saw, I think I’m fully on board. I love the tone – it’s insane, but weirdly brilliant the way they are essentially remaking the first Terminator film but throwing their own bent to it. I despise the fact that the trailer gives away the movie’s major plot point – which I think is a stupid twist, but we’ll have to see how it all plays out. Arnold said this film is the start of a brand new trilogy and he doesn’t count the 4th film as canon because he wasn’t in it. Beyond the weird twist, I’m not feeling the idea of spending years of my life sitting through yet ANOTHER planned trilogy franchise. Does anyone in Hollywood know how to tell a story that has a clear beginning, middle and end in a SINGLE movie anymore? Things I Learned #2 – Tom Cruise is indeed Insane! I’ll never understand the hate and ridicule Tom Cruise gets. He is the man! I knew Simon Pegg and Rebecca Ferguson were going to be there because I was asked to do the Red Carpet, but was pleasantly surprised when Cruise himself walked out decked out in an awesome black on black suit. I swear the man doesn’t age. In the 2nd clip it seems Ferguson has revived Cruise from being dead and he’s chasing her down to find out what her deal is. Meanwhile Rhames and Renner are trying to find their missing teammate. The film’s central question seems to be who is after all the MI Agents and who the mystery woman. My guess – probably his daughter – remember Hunt was married for a minute. Cruise came back to talk about the big Airplane stunt. He was tied to the plane by a single rope and was hanging off of it until it got about 5,000 feet in the air. The only thing he was thinking about was how everything was going to be edited together. To prove he actually did the stunt they showed a quick making of clip where they show him actually hanging on the plane as it takes off. The man is insane. Lessons Learned #3 – Ben Stiller CAN Be Funny! I never saw Zoolander and neither did a lot of people so it’s kind of shocking that somehow there’s a sequel. Ben Stiller did an hilarious CinemaCon welcome while staying in character throughout the entire thing. It was brilliant and had the entire theater in stitches. Paramount is playing a dangerous game – seems like they are banking their year primarily on Terminator Genesis and Mission Impossible: Rogue Nation, but why not, the stuff they showed today turned me from a meh, to being genuinely excited about what they do with Terminator. I’m a huge fan of the M.I. franchise so always had faith that would be good. So even though they only had footage for 2 films it was a pretty good outing for them. Previous PostSony Pictures and Valiant Entertainment Set Five-Picture Deal!Next PostCreative Coalition & Supper Suite by STK Gala Benefit Celebrating the Arts Heads to Washington, D.C.